Great location - very close to Jaume I promenade. The pool was working, clean, each day there was a lifeguard watching. Our apartment windows were facing the street and we could see sea not that far away. It was nice to have a terrace for breakfast or dinner. Bed linen was squeeky clean, beds (single and sofa) were comfortable to sleep in. AC was working great. The best thing was Mr. Giuseppe in UHC, who helped us a lot on our check-in - he advised where to eat and his recommendations were truly good. Perfect location to everything. Beach shops super market railway station bus to Reus airport right opposite Mcdonalds only €2.75 bus information office there too.Chose a taxi to transfer from aiport when arrived. Would of caught bus if we had known. There was a problem with air conditioning not working when we arrived. Phoned Universal Holiday centre who were very helpful and sent someone around to sort within the hour. Swimming pool clean and lifeguard in attendance. Sun bed only €1 daily. 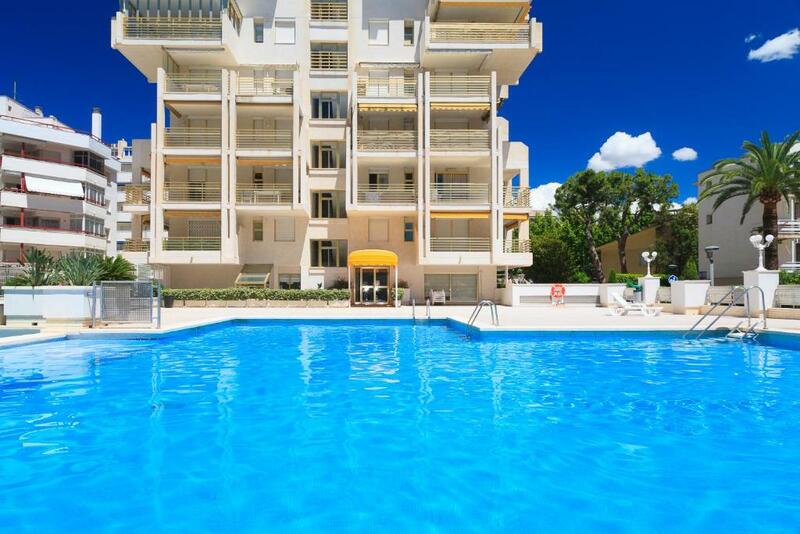 Fantastic location, great pool, quiet building, close to everything. la vue et l'emplacement; GENIAL Le quartier est parfait et la terrasse grandiose!!!! appartement bien équipé Le monsieur de l'agence trés sympa! 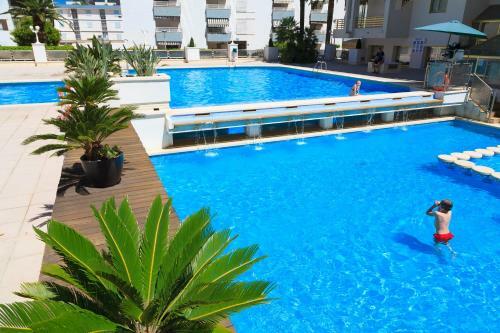 One of our top picks in Salou.Located only 350 feet from Salou Beach and its long beachfront promenade, UHC Novelty Apartments features an outdoor pool and a spacious poolside area with sun loungers. 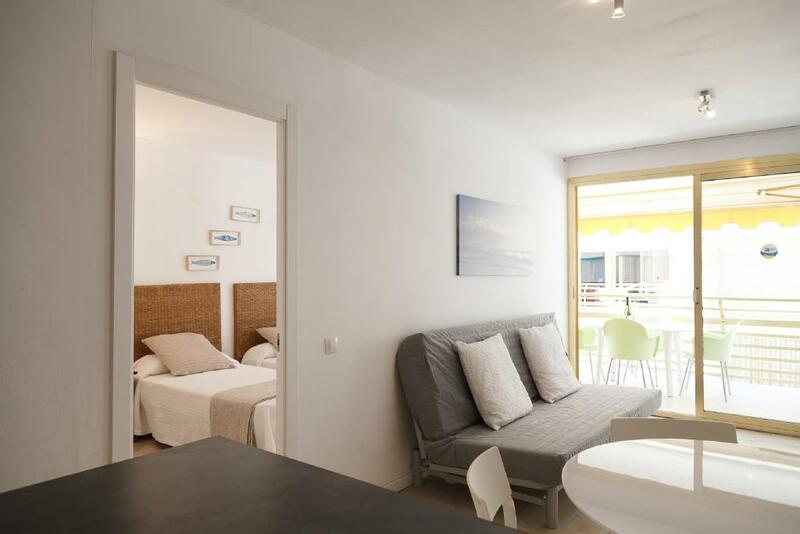 All apartments have air conditioning and feature a private terrace with outdoor seating area. The living room includes a flat-screen TV and dining table. There is also a kitchen with a washing machine, oven, and microwave. The apartments have 1 twin bedroom and a sofa bed in the living. The private bathroom comes with a shower, and towels and bed linen are provided. 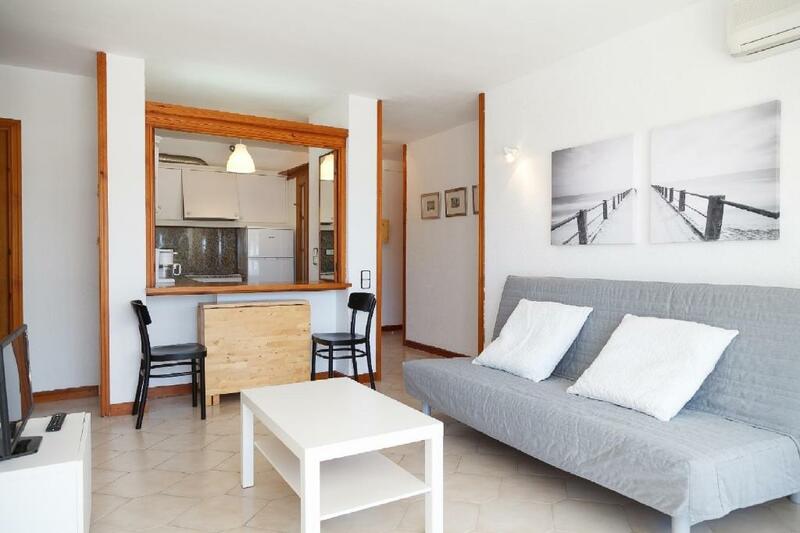 Salou Train Station is a 10-minute walk from the property. PortAventura and Costa Caribe themed parks are 1.9 mi away. 뀐 Located in the real heart of Salou, this property has an excellent location score of 8.6! When would you like to stay at UHC Novelty Apartments? 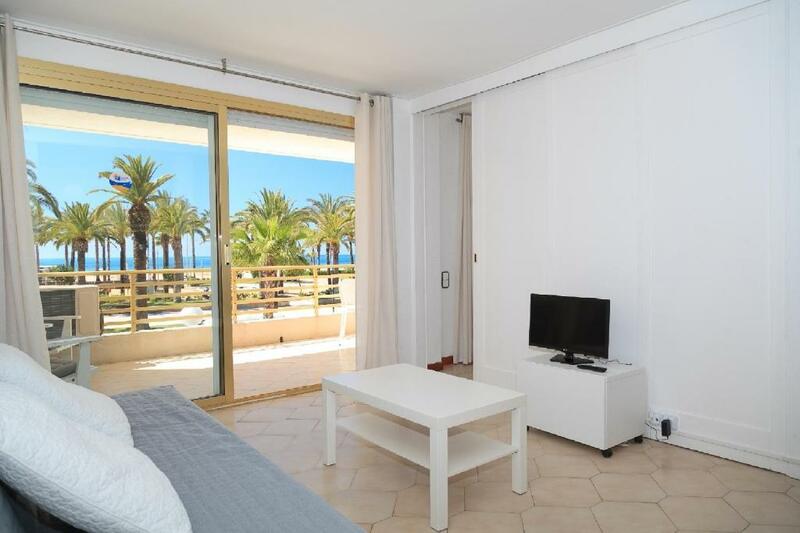 This apartment with air conditioning features a private furnished terrace. The living area includes a flat-screen TV and dining table. There is a kitchen with a washing machine, oven, and microwave. 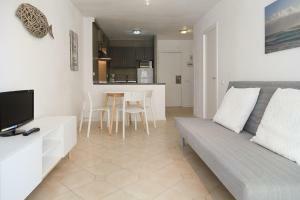 The apartment includes 1 double bedroom and a sofa bed in the living room. The private bathroom comes with a shower. Towels and bed linen are provided. House Rules UHC Novelty Apartments takes special requests – add in the next step! UHC Novelty Apartments accepts these cards and reserves the right to temporarily hold an amount prior to arrival. Please inform UHC Novelty Apartments of your expected arrival time in advance. You can use the Special Requests box when booking, or contact the property directly using the contact details in your confirmation. It is a bit inconvenient that you have to take keys from anohter location. Some furniture needs securing. We stayed 5 nights and for 4 people there was only one toilet paper roll. Saw few bugs (not sure what kind) in the bathroom, but I guess that is quite normal in such humid weather. Downstairs is a chinese restaurant, so we had additional smells from their kitchen (it wasn't terrible, but still). You have to clean the apartment before leaving. Beach beds by the pool are paid. Unable to get into apartment before 4pm and having to collect keys. That booking.com already took 50% before I even arrived but when I turned up I had to pay a further £150 deposit and another £300 and I have received the deposit back even tho we left the apartment in a spotless condition! The terrible smell from restaurant's kitchen next to the apartments...Balcony had to be closed since they opened around lunch time in order not to have smelly room. Booked the apartment as said wifi in rooms as have a 3 year old however this was not the case. Key collection was terrible, the woman was so hostile on collection that I did not bother to complain in resort about the property. This property should not in my opinion be listed on Booking.com - also the key collection company need to review their attitude. No I will not be booking again. This property was overpriced and dirty - we certainly left it a lot cleaner than we found it and the key collection woman was banging on about us being charged €60 for cleaning and our deposit would not be refunded! €300 deposit left which we may get back in up to 14 days! not acceptable. For more information about this dreadful property, see my full report on trip advisor. Had to collect keys from completely different place far away from property!!! Horrendous! Pool wasn't in order all cornered off no one told us ! One night got locked out apartmentand man at reception couldn't let us in as he had no spare key ! Door to property was adjar at top ! 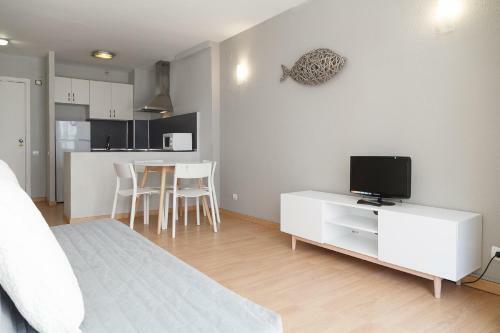 Clean apartment very very basic ,beds uncomfortable good location if the keys were available at the property and not 10 min walk away to collect with luggage and back again.